Over the years, we have found that our comfortable, home-like atmosphere is one of the many reasons why families choose Gillette Skilled Nursing and Rehabilitation. We provide a variety of additional amenities to ensure that our short-term patients and long-term residents feel right at home. in Trumbull county to have all private rooms. Private rooms are an important part of the healing process, providing patients and residents with the privacy they need for rest and recovery. Each room is fully furnished and has its own temperature control for heating and air conditioning,free Wi-Fi for internet access, flat screen T.V. 's with the option of cable and optional phone service. At Gillette, we know that nutrition plays an important role in recovery. Upon admission, each new resident meets with one of our licensed dieticians to discuss likes, dislikes, wants and needs. Specialized menus are available to satisfy specific dietary restrictions. We also recognize that the social aspect of dining together can be equally important. That is why we have a restaurant-style dining room that serves three meals a day. This allows residents to share their meals in a social setting. We also offer free meals to spouses upon request. Supporting the emotional, physical and spiritual well-being of our residents is the focus of our daily activities and social programs. From exercise activities to religious services to monthly outings, we strive to provide opportunities to feed the mind, body and soul. The Resident Council meets monthly to work with our Activity Director to plan activities and select monthly outings. Helping residents and their families alleviate day-to-day concerns is one of our primary goals. Our staff does all the cleaning and will also take care of the laundry upon request. Each service is offered on a weekly basis at no additional charge. In order to keep looking and feeling good, salon services for both men and women are offered twice a week. All standard beautician and barber services are available at a minimal charge. Transportation for patients and residents is available upon request. We also work with physicians to coordinate appointments and provide transportation as needed. 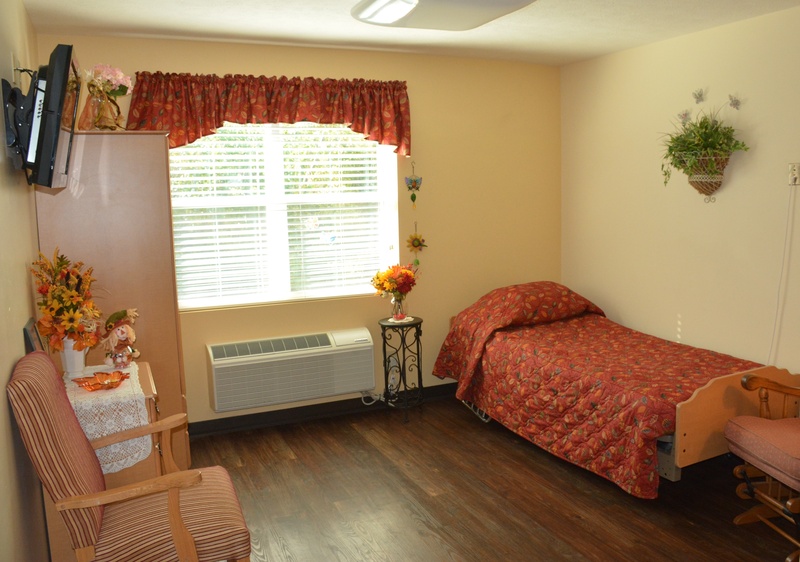 "Private rooms are a vital part of the healing process by addressing the resident’s need for peace of mind, dignity and respect."